ALL ART STRIVES FOR THE EXTENSION OF ITS MEDIUM. THAT END MUST ALSO BE ITS FULFILLMENT; IT MUST GIVE ART ALL ITS METHODS. THE WORK OF ART CAN ONLY FOLLOW THE LAW OF INNER NECESSITY . . . IN THAT LAW LIES [ITS] UNITY . . . BALANCE . . . [AND] UNIVERSALITY. . . . STYLE, THE CONCISE EXPRESSION OF BALANCE, WILL [THUS] BE VANQUISHED AND WITH IT ORNAMENT. This is precisely how the philosopher Ludwig Wittgenstein approached both ethics and language in the Tractatus Logico-Philosophicus. What appeared to be a treatise on logic was much more than that. Wittgenstein wrote that the purpose of the book was ethical and explained that it consisted of two parts, the written and the unwritten. Wittgenstein considered that the unwritten part was the most important. The key was the very thing that was missing in the text, and the gesture to keep quiet about it. One of the aims of the Tractatus was to delimit the field of ethics, and that could only be done from within. Wittgenstein thought he had settled those limits by precisely remaining silent about ethical issues. His demarcation between the world of facts and the world of value intended to make clear that logic, and consequently philosophy, could only deal with facts. The language of logic could not go further than that, and thus the world of value – that is, of ethics – was out of its reach. Facts belonged to the realm of saying, and value to that of showing. There were certain things that could only be shown, and art was an appropriate path toward that domain. Carla Carmona is a professor of philosophy at the University of Extremadura in Spain. She specializes in aesthetics, philosophy of language and fin de siècle Vienna. She has published numerous articles on the paintings and the worldview of Egon Schiele, as well as the thought of Ludwig Wittgenstein and its aesthetic dimension. In recent years she has also dedicated herself to the study of aesthetic and political thought by Peter Sloterdijk. In 2014 she edited the Siruela Voluntary Taxation and Citizen Responsibility. Her books include Egon Schiele’s pictorial idea: An essay on representational logic (Genueve Editions, 2012), On the tightrope of the eternal: On the hallucinated grammar of Egon Schiele (Cliff, 2013), Egon Schiele: Writings 1909- 1918 (La Micro, 2014), and Ludwig Wittgenstein: The Consciousness of the Limit (Library Discover Philosophy, The Country, 2015). 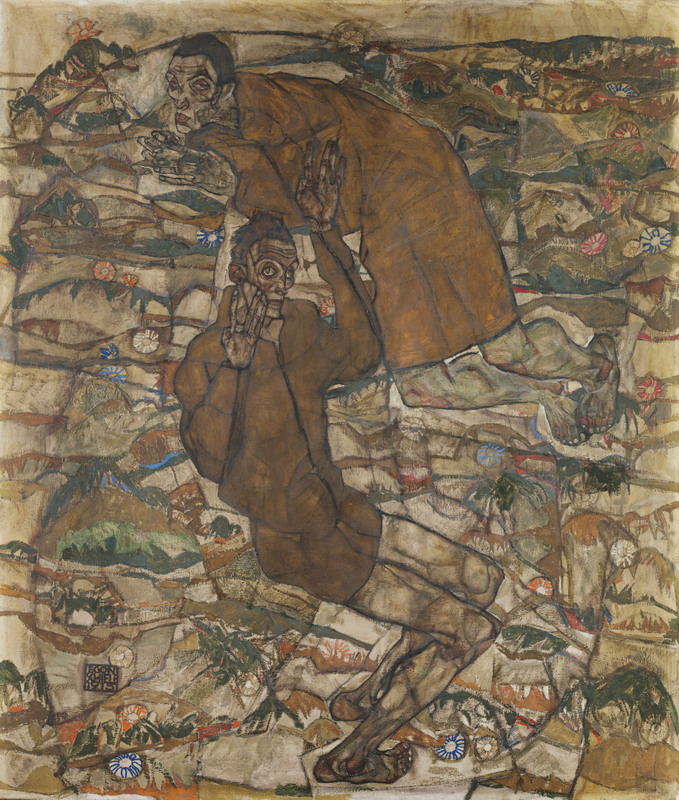 Carmona is also editor of the Egon Schiele Jahrbuch.